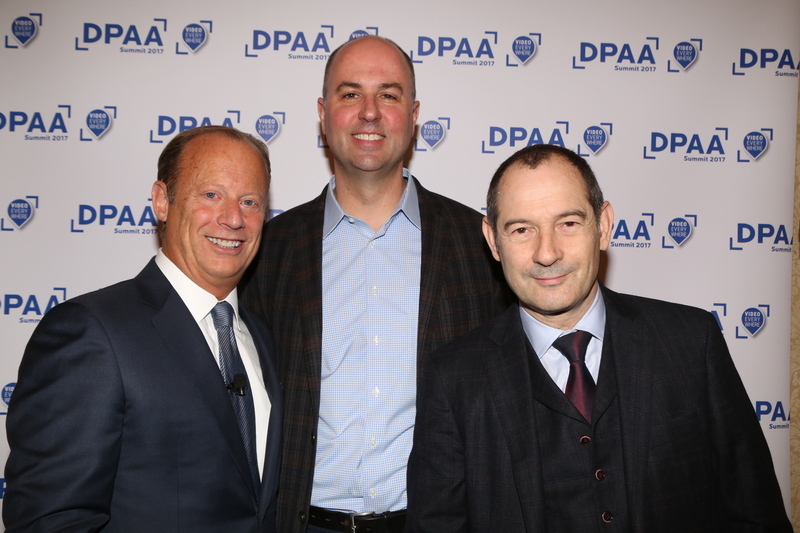 Another successful event by the DPAA connected and reconnected hundreds of digital out-of-home advertising professionals on November 1, 2017 at the Roosevelt Hotel in New York. 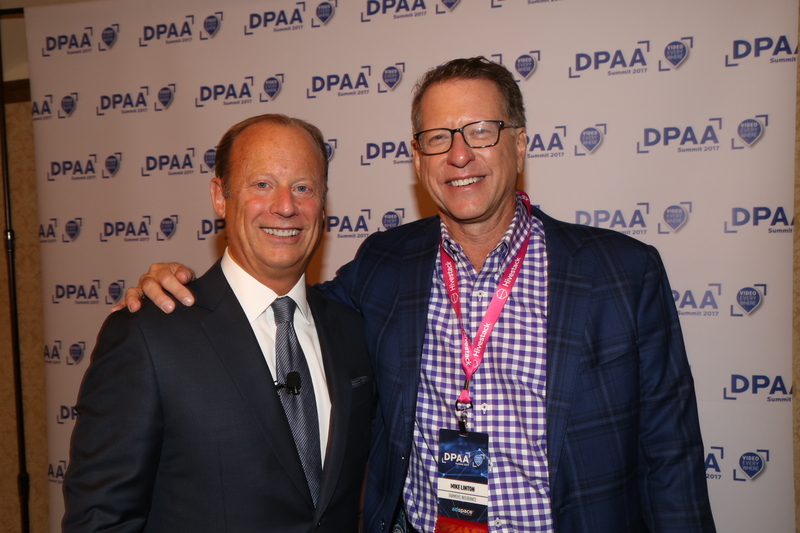 Barry Frey, President & CEO, DPAA and Mike Linton, CMO, Farmers Insurance. Barry Frey; Andrew Swinand, CEO, Leo Burnett N.A. ; Rob Norman, Chief Digital Officer, GroupM Worldwide and Chairman, GroupM N.A. Barry Frey; Paul Woolmington, CEO, Canvas Worldwide; Bobby Jones, Co-Author, “Good is the New Cool: Market Like You Give a Damn;” Mark Ingall, Managing Director, Global Marketing, Citibank. 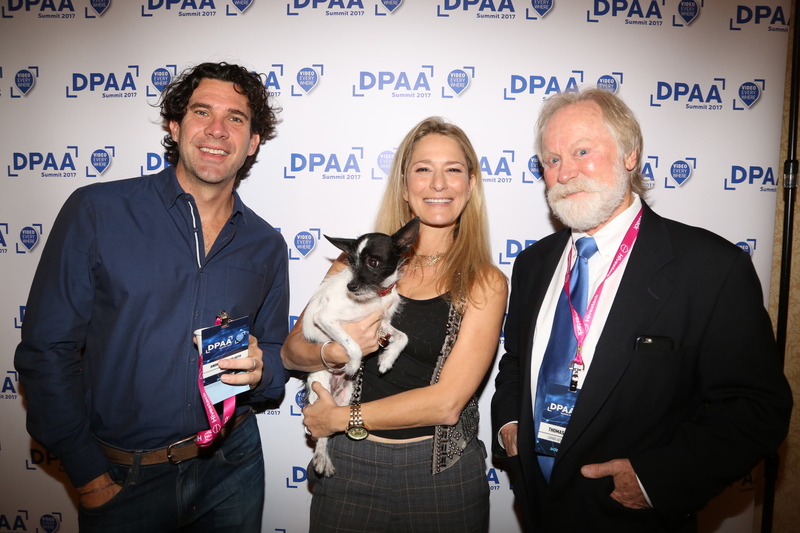 Patrizio Spagnoletto, Head of Media & Subscriber Growth, Hulu; Cat Greenleaf, Host, “Talk Stoop” and canine pal Norma Rae; Thomas Teepell, CMO, Lamar Advertising. Robert Riesenberg, Founder & CEO, RER Entertainment; Arlene Manos, President, National Advertising Sales, AMC Networks; Gary Reisman, Founder & CEO, Leap Media Investments. 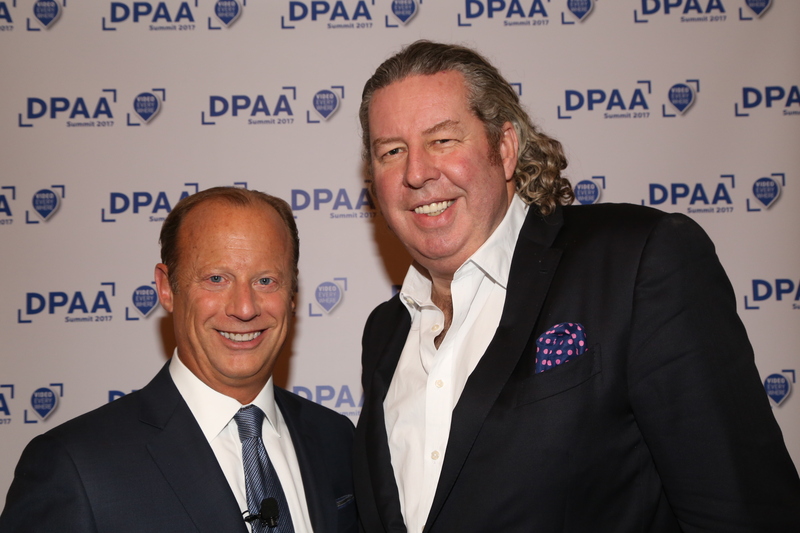 Reflect, a Dallas-based, full-service provider of digital signage technology, joined DPAA earlier this year. Mel Stott recently chatted with Matt Schmitt, Reflect’s President & Co-founder. Please tell us about your company’s business, including your AdLogic platform and ReflectMedia service. Reflect has been helping brands power digital media networks since 2001. We have an enterprise-class content system called ReflectView, which supports digital signage and interactive applications across a variety of screen and device types. Our AdLogic platform was developed in response to an industry need for a highly automated approach to ad trafficking, delivery and reporting. One important point about AdLogic is that it can work in conjunction with programmatic ad sales, but at its core it serves a vital function for direct media sales – i.e. a media network selling directly to agencies and brands. Arch Global, a financial planning firm for individuals, families and businesses, recently joined DPAA. Mel Stott spoke with Sheraz Iftikhar, Managing Partner, Arch Global, about his company. Please tell us a bit about Arch Global’s business. 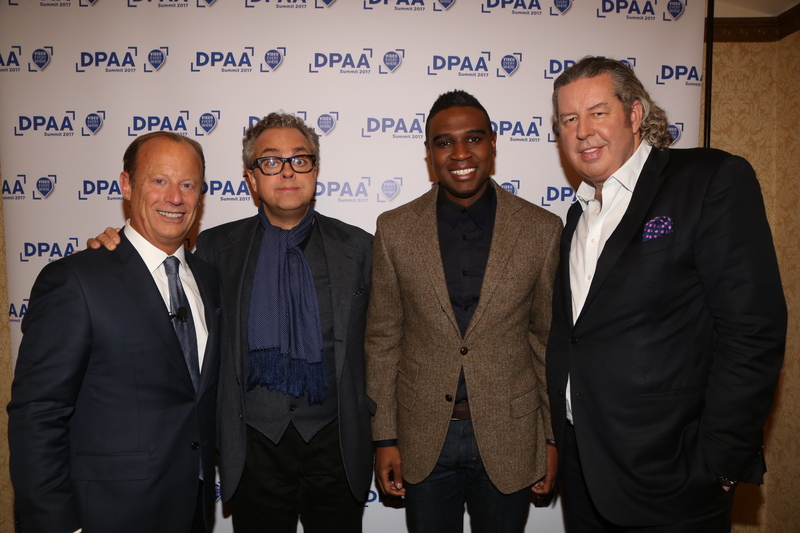 NEW YORK, September 25, 2017 – DPAA, the global organization for everything digital out-of-home, will lead a pair of Advertising Week sessions focusing on two timely elements of the sector’s rapid growth: location data and programmatic. Arrow Intelligent Systems (AIS), a leading OEM services provider with particular expertise in Visual Media, recently joined the DPAA’. Mel Stott talked about the company with Scott Falso, Director of Market Development. What is Arrow Intelligent Systems and what do you do in the digital out-of-home arena. Arrow Intelligent Systems (AIS) is a leading OEM services provider with particular expertise in visual media. Our acquisition of Seneca Data in 2014 brings market specific engineering and product development experience to the team. Arrow’s primary play in digital out-of-home is helping networks with purpose built playback, display and interactive kiosk technology backed by a suite of services to lower costs and increase customer experience. The media player itself is often taken for granted when people talk about digital out-of-home, but of course they are of extremely high importance. What sets your media players apart? Arrow has a broad offering of media players ranging from tier 1 solutions from HP, Dell and Lenovo as well as niche brands like Seneca. Seneca media players are purpose built for digital signage networks and have been optimized for 24/7 operation. Arrow has partnered with leading content management companies such as Broadsign (DPAA member), to offer players that have been optimized and certified for their application software. Arrow’s extensive testing and validation takes place in their Advanced Engineering Services center that includes a thermal chamber, 4k video wall arrays and a variety of bench-marking software. Validation done in the factory ensures project success in the field. In addition to media players, Arrow offers commercial displays both framed and unframed to be used in kiosk, video wall and outdoor environments. A DPAA-sponsored feature. 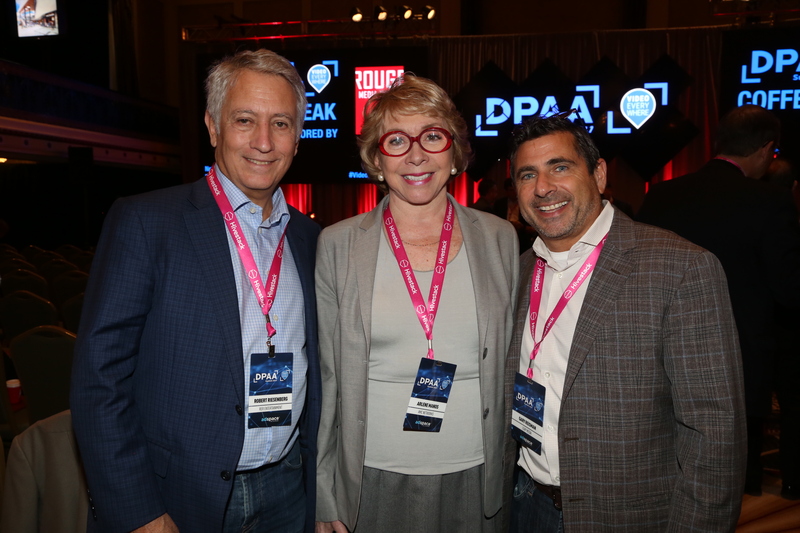 ScoreStream, the first and only crowd-sourcing platform for live local sports, joined the DPAA this past spring. 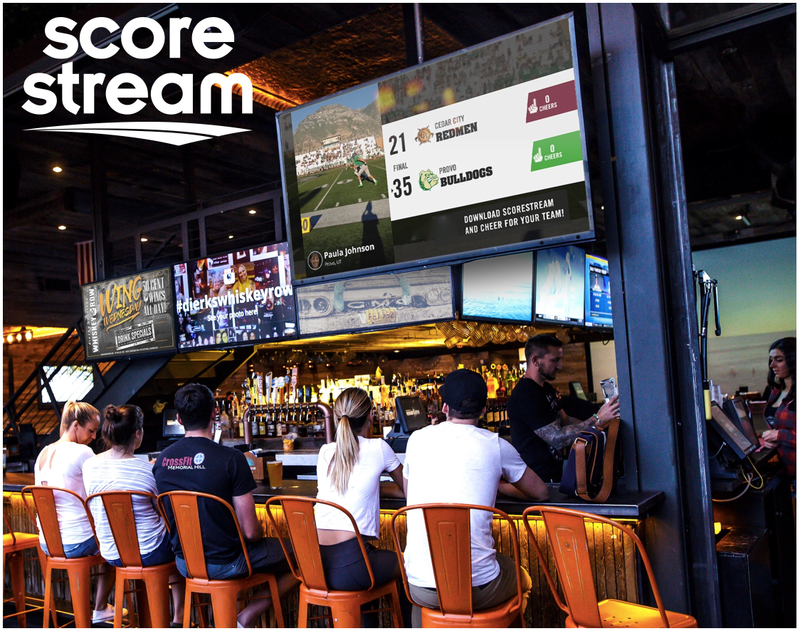 Mel Stott recently chatted with John Smelzer, President & COO of ScoreStream, about the company. You bill yourself as the first and only crowd-sourcing platform for live local sports. Please tell us a bit about how your crowd-sourcing platform works. The ScoreStream mobile app allows fans in the stands to input scores, upload photos and videos, chat, cheer and post to social media. We then use machine learning and several other proprietary techniques to structure, validate and publish this user generated content in real time. In addition to having a sizable mobile audience, you syndicate real-time content to 500 local media partners nationwide. Who are some of these partners, and please tell us more about the syndication aspect of your business. We’re now up to 750 local media partners, including TV stations, radio stations, newspapers and cable sports nets representing Sinclair, Tribune, Nexstar, Gannett, Hearst, FSN, CSN, iHeart Radio, ESPN Radio and many others. These partners publish geo-located ScoreStream web widgets covering all their local teams. We also power on-air tickers for approximately 100 TV stations nationwide and even provide real time “geo-filters” to Snapchat. We’re about to announce one of our most strategic partnerships to date, which will essentially make ScoreStream “the wire” for live, local sports. How do you see digital out-of-home fitting into your business model? Once folks realize they can see up-to-the-second coverage of their local high schools, they are thrilled and delighted by that content whenever and wherever they happen to be. Digital out-of-home represents to us countless incremental points of distribution for our highly unique, highly desirable content. How do you integrate advertising and/or sponsorships into your content? Do you sell national brands or local advertisers… or both? We’ve just begun to explore sponsorship of our mobile app and are open to any and all business models for monetizing our DOOH content. One likely model would be for our partners to sell locally – something we could never do – as we sell nationally, all subject to mutually agreed-upon rev shares. 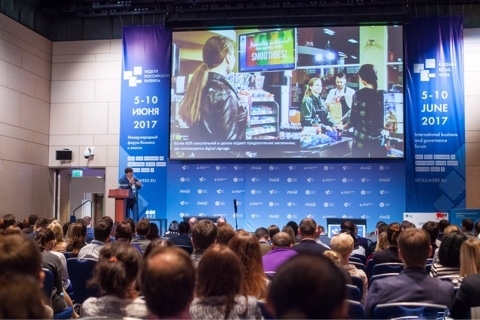 The 7th international conference “Digital Signage – no alternative!” was held in Moscow on June 8, 2017 . This year, for the first time, the conference was organized in a new format, as part of the Russian Retail Week. Most businesses today are already well familiar with digital signage. That’s why this year, unlike previous events which mostly discussed trends, speakers focused on more pragmatic aspects: how to maximize return on investment from digital signage projects; analysis, statistics, case studies and practical advice on implementation. The conference was opened by a special guest from marketing association POPAI UK, Phil Day. He said 70% of shoppers still plan to shop in brick-and-mortar stores, despite competition from on-line shopping. However, 76% of customers would like to use interactive digital signage while in stores. The challenge today is to create digital signage networks that would help achieve tangible business goals. Drawing examples from UK retailers’ networks (Heinz, Unilever, Vodafone, Boots and others), Phil Day gave practical tips on each step of digital signage deployment, such as planning, execution and measurement.